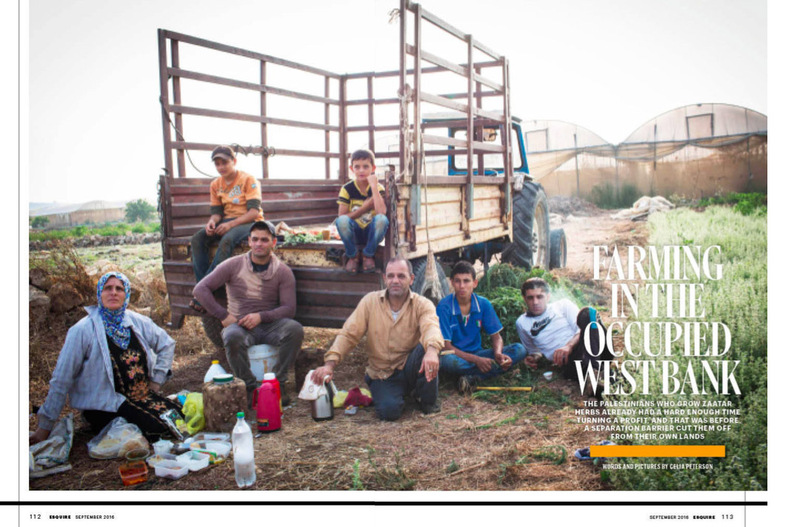 The Daoud’s farm in the occupied West Bank town of Falama is split in two with Israel’s separation barrier. 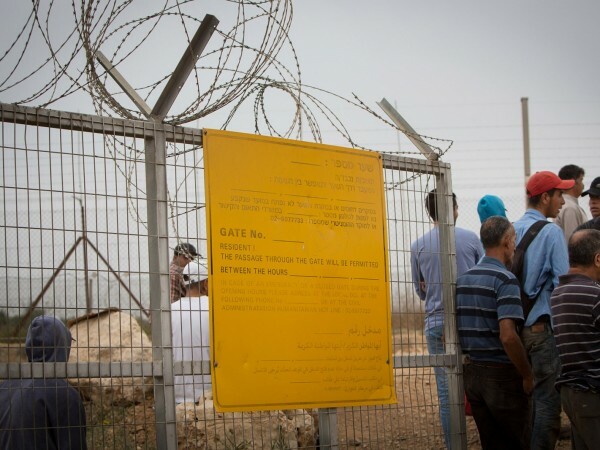 The small family-run business struggles to access 70% of their land as Israel controls the checkpoint with half hour openings three times a day, sometimes refusing entry. 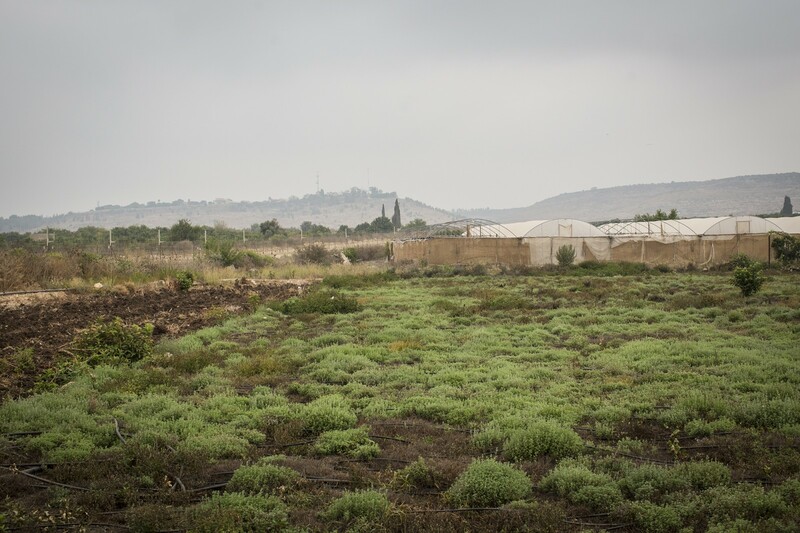 Despite the political difficulties, the family is keeping the Palestinian tradition of growing Zaatar alive with both the land and the knowledge passed down through generations. 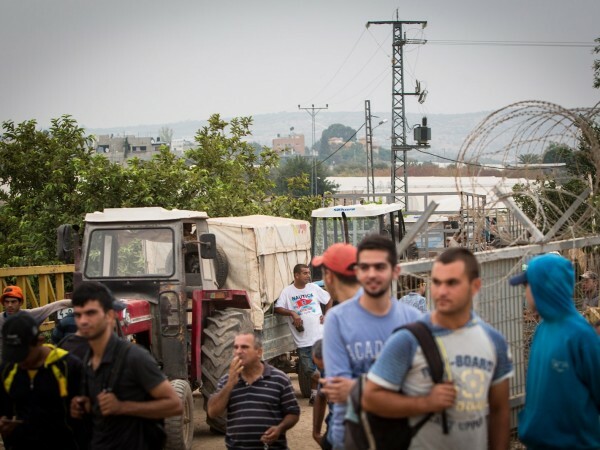 At 5am on an extremely humid day in Falama, the town’s farmers queue with their tractors and farm vehicles the length of the dusty farm road leading to the separation barrier. 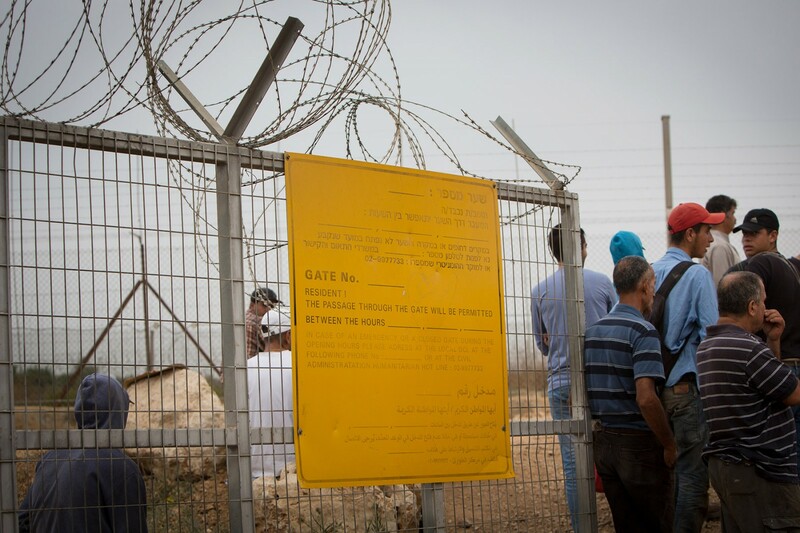 They arrive early to ensure passage through the barrier, manned by Israeli soldiers for only half an hour at 6am. Many of the farmers are asleep on the muddy ground, in the back of their trucks or slumped over the steering wheel of their tractors. 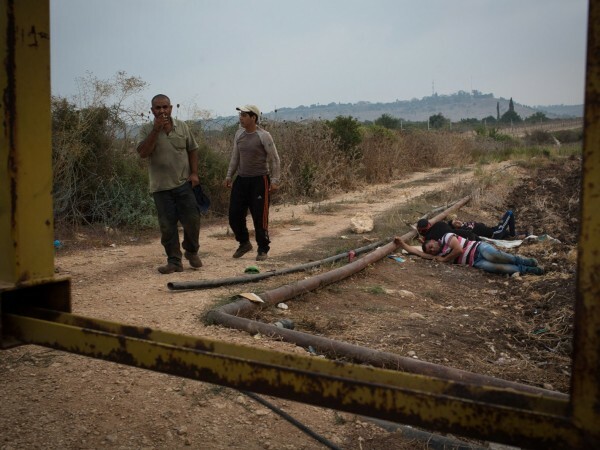 The farmers must have an Israeli security pass, a “Tasriyah”, to access their land and pass through the barrier. 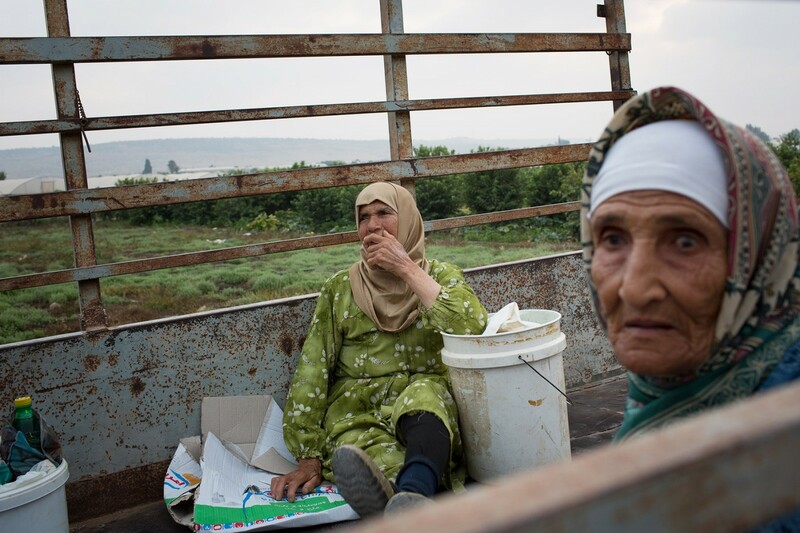 Approximately 300 farmers a day cross through the barrier with many more benefiting from, and relying on, this work. 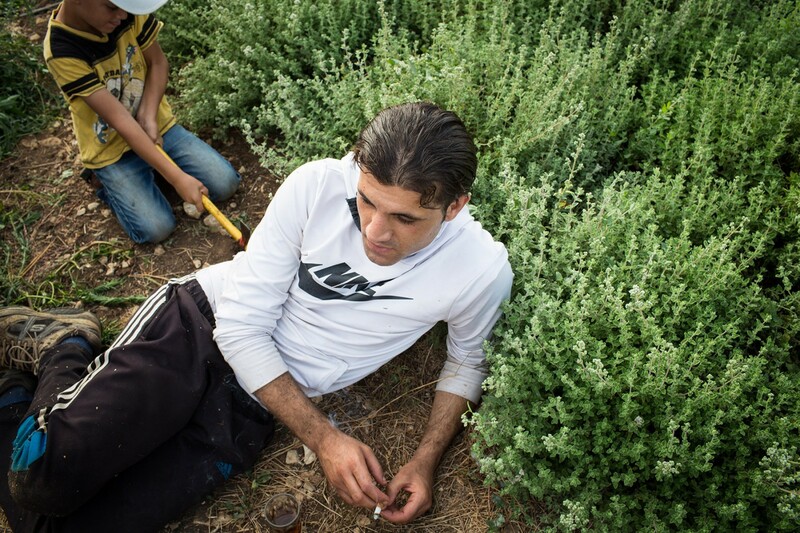 Mohammad Daoud is amongst those waiting to cross over, the rest of the family has stayed behind today to tend to their Zaatar fields. 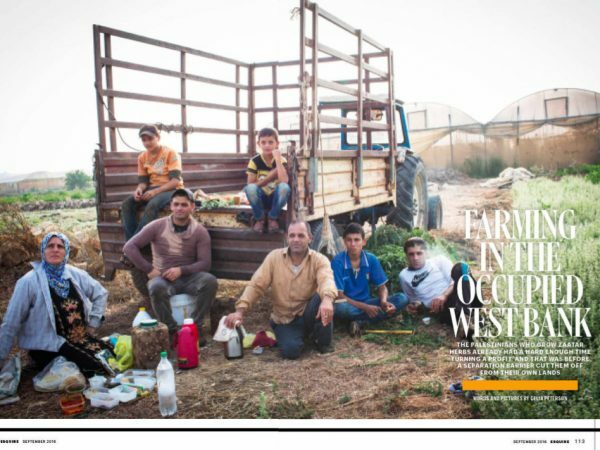 The Daoud family farm vegetables and fruit including watermelon, olives, cucumber, tomatoes and zaatar. 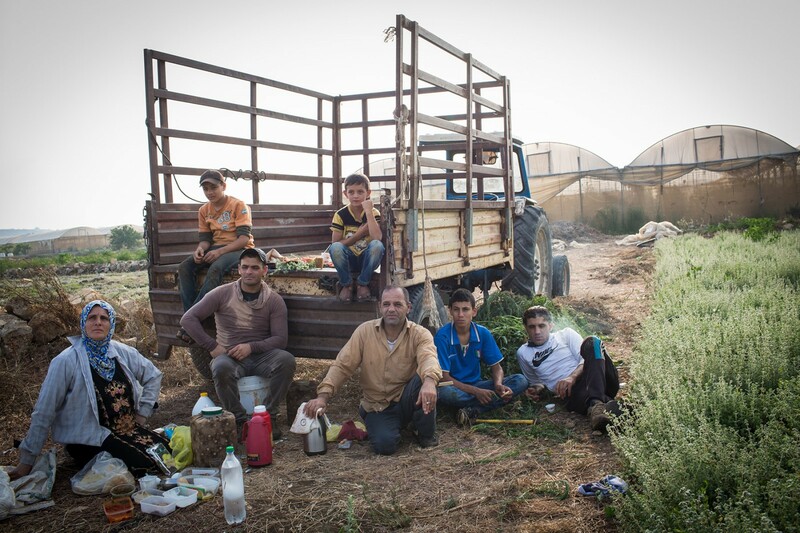 All the family are in the field harvesting Zaatar today, including Nabil’s 8 year old son Mahmoud who prefers farming and playing on the land to being with his friends. Most products they farm are for their own consumption but when they have extra they take it to market. 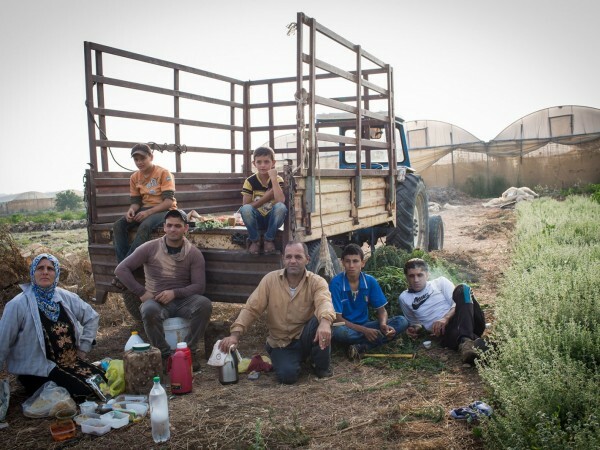 “We spend all of our life farming, it is our way to have money, keep our kids in school, it is our life,” says Nabil. 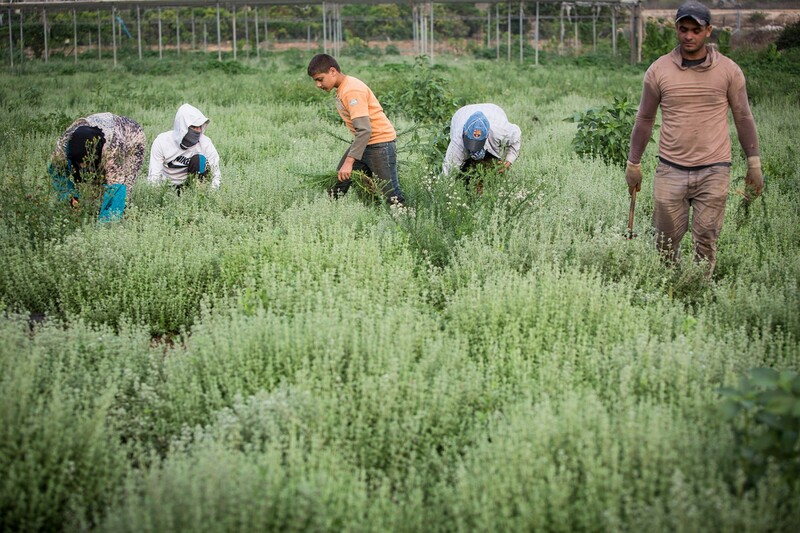 The main product they farm for money is Zaatar chosen due to its medicinal properties and a desire to work with healthy products. 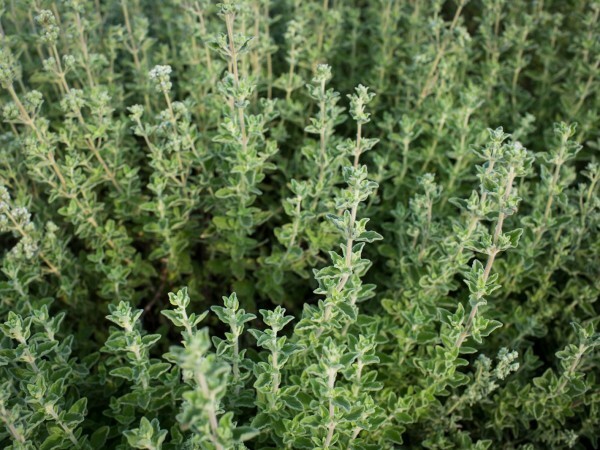 They now farm more herbs due to their market potential and predominantly farm naturally only using chemicals when a plant is sick. 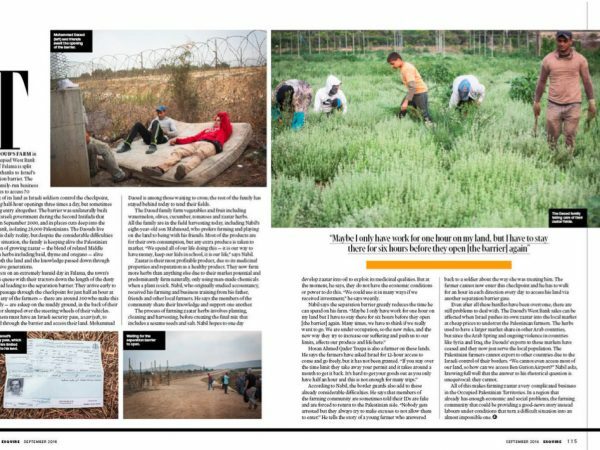 Nabil, who originally studied accountancy, received his farming and business training from his father, friends and via other local farmers. 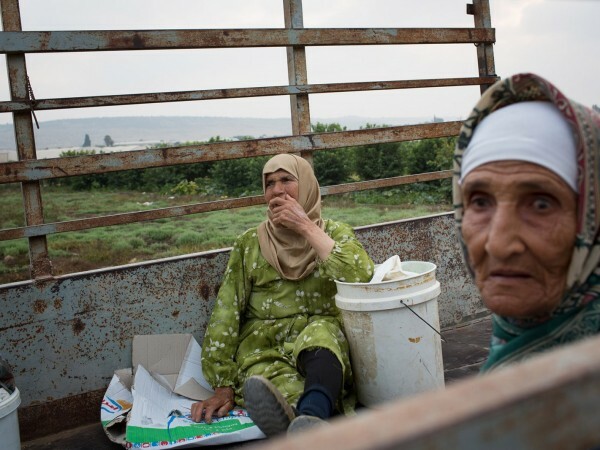 The local community share their knowledge and support one another. 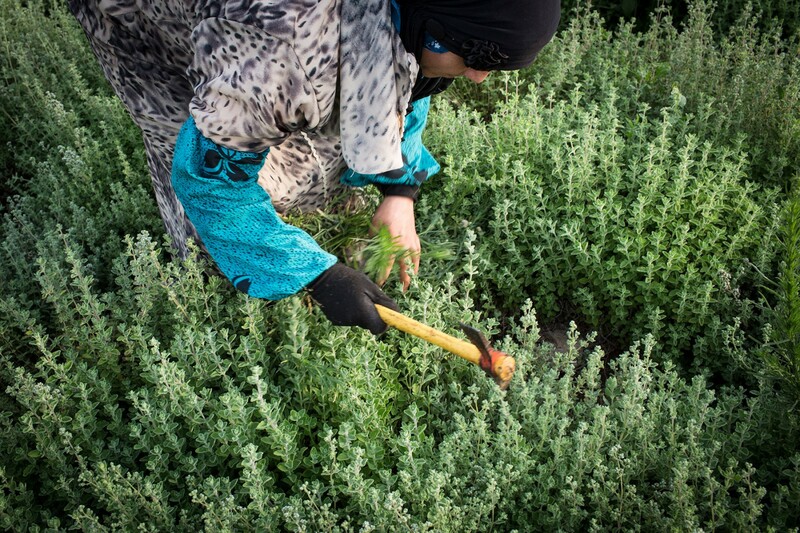 The process of farming Zaatar involves planting, cleaning and harvesting whereupon it is put into bags and taken to a factory. 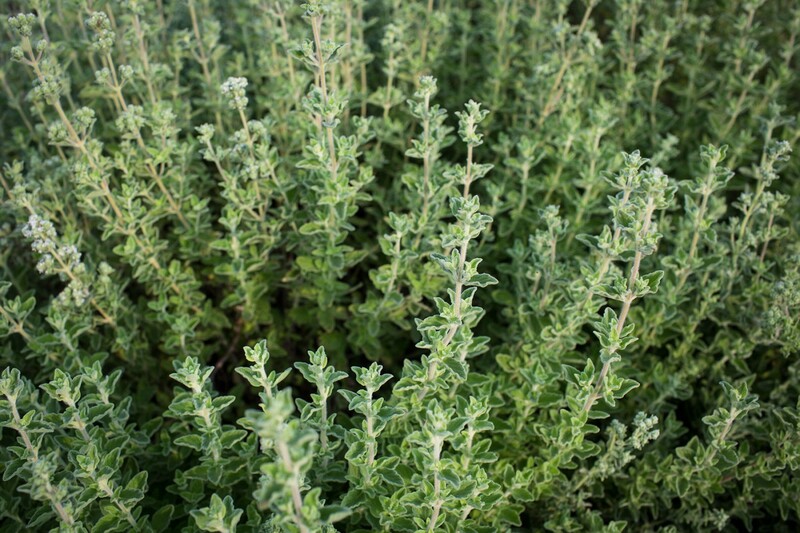 They then divide the Zaatar plant from the good and the bad, and create the final mix that includes a blend of herbs, sesame seeds and salt. 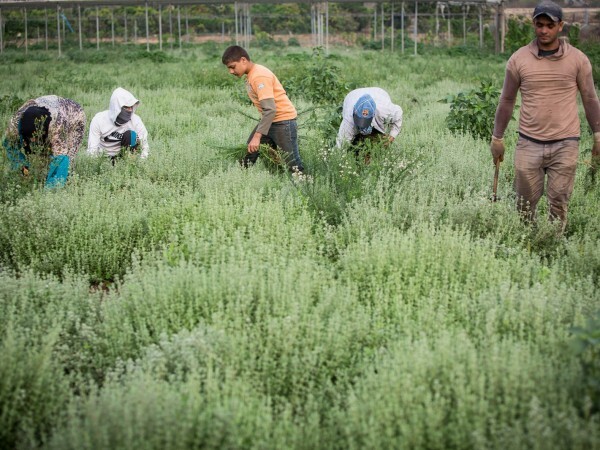 Nabil hopes to evolve is output of Zaatar into oil in the future to use it for its medicinal qualities, but at the moment they do not have the economic conditions or power to do this. “We can use it in many ways if we received an investment”, says Nabil. 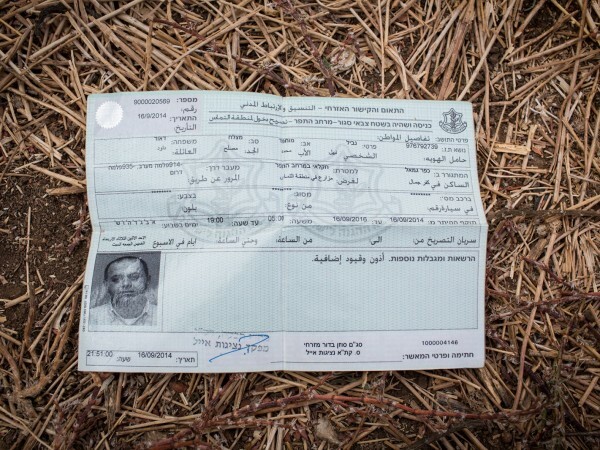 Hosan Ahmed Qader Toupa, a farmer, says the farmers have asked Israel for 12 hour access to come and go freely from their land but it has not been granted: “if you stay over the time limit, they take away your permit and it takes around a month to get it back. 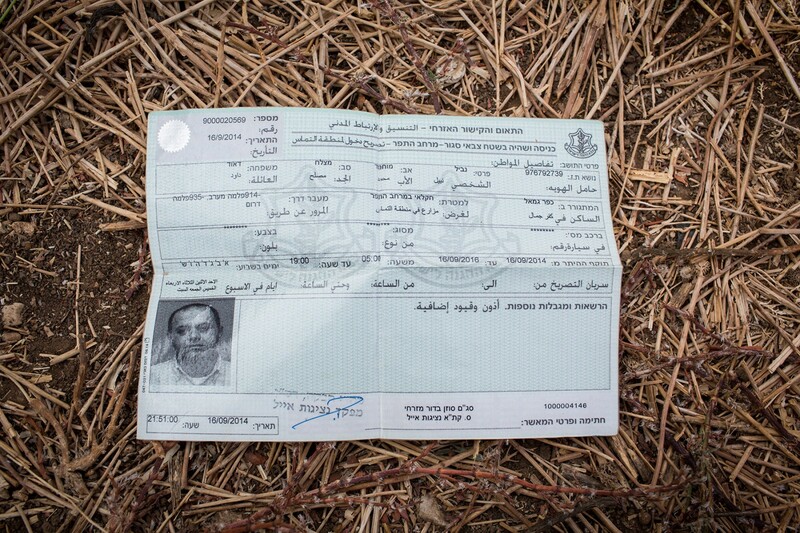 It’s therefore hard to get your goods out as you only have half an hour and this is not enough for too many trips.” According to Nabil, members of the farming community are sometimes told their ids are fake and are forced to return to the Palestinian side: “nobody gets arrested but they always try to make excuses to not allow them to enter”. He tells the story of a young farmer who answered back to a soldier about the way she was treating him. 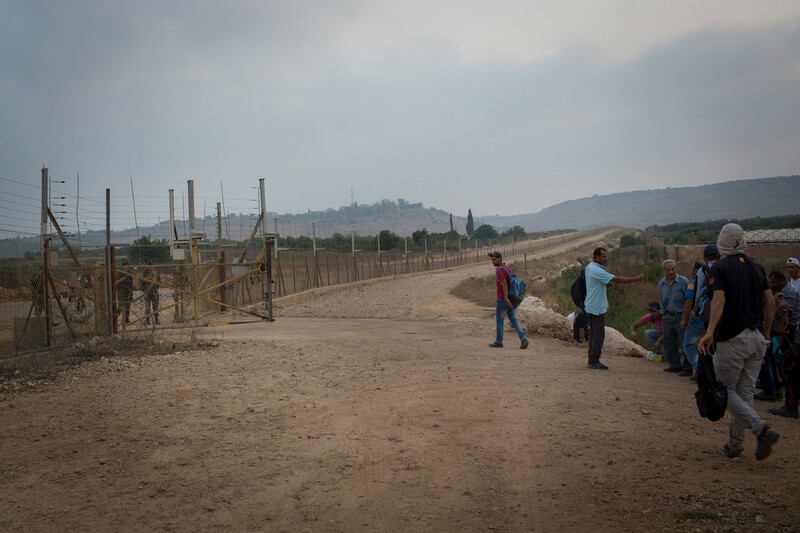 The farmer cannot now enter this checkpoint and he has to walk for an hour in each direction every day to access his land via another separation barrier gate. 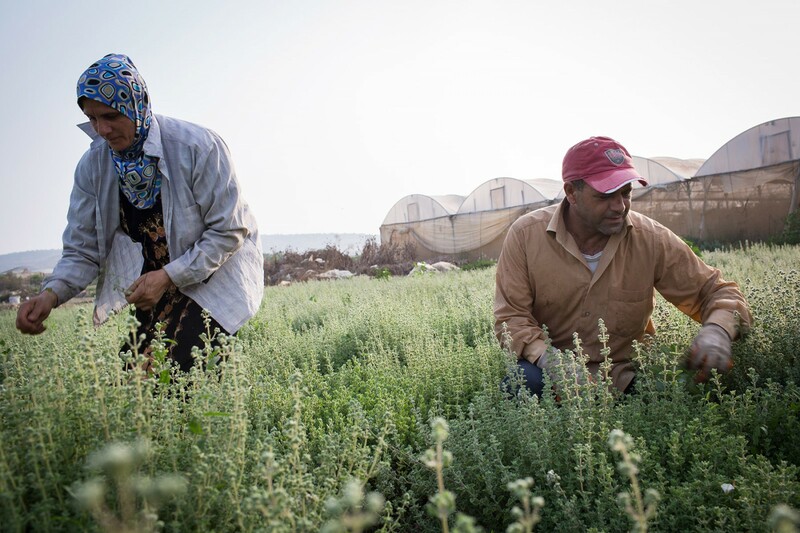 The business of farming Zaatar is complicated in the Occupied Palestinian Territories. 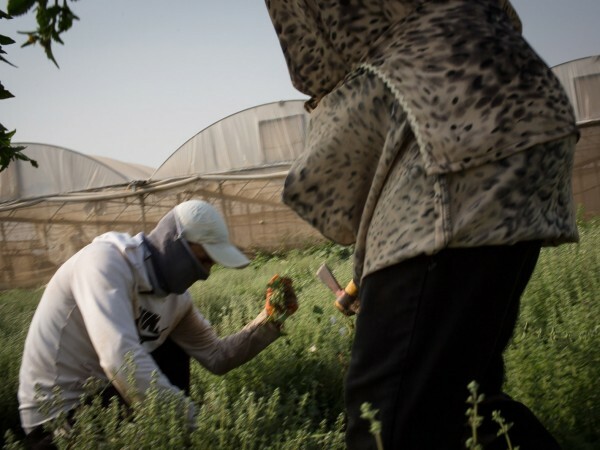 The Daoud’s West Bank sales can be affected when, says Nabil, Israel pushes lots of its own Zaatar into the local market at cheap prices to undercut the Palestinian farmers and make their product cheaper. 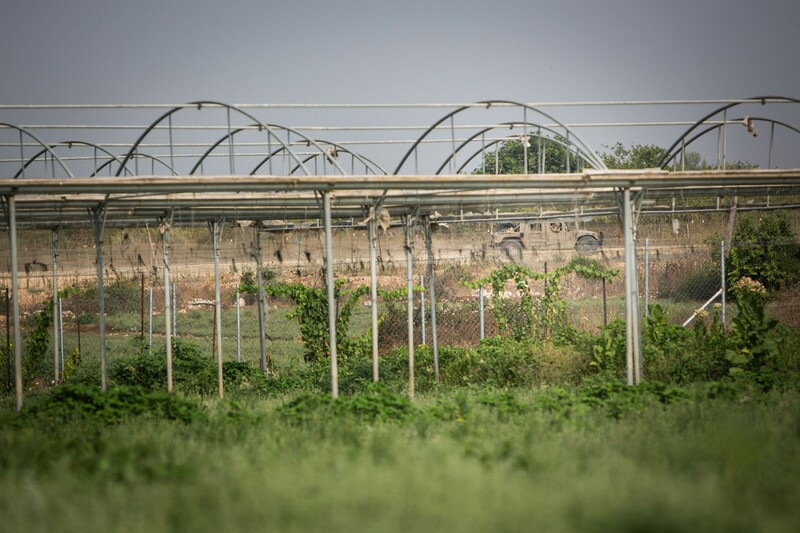 The herb used to have a market in other arab countries but since the arab spring and the ongoing violence, the Daoud’s exports to these markets have ceased and they now just serve the local population. 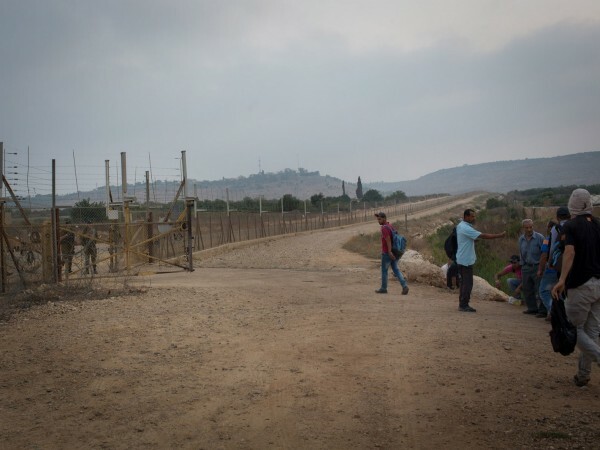 The Palestinian farmers cannot export to other countries due to the occupation’s control of the borders: “we cannot even access most of our land, how can we access Ben Gurion airport”, asks Nabil. 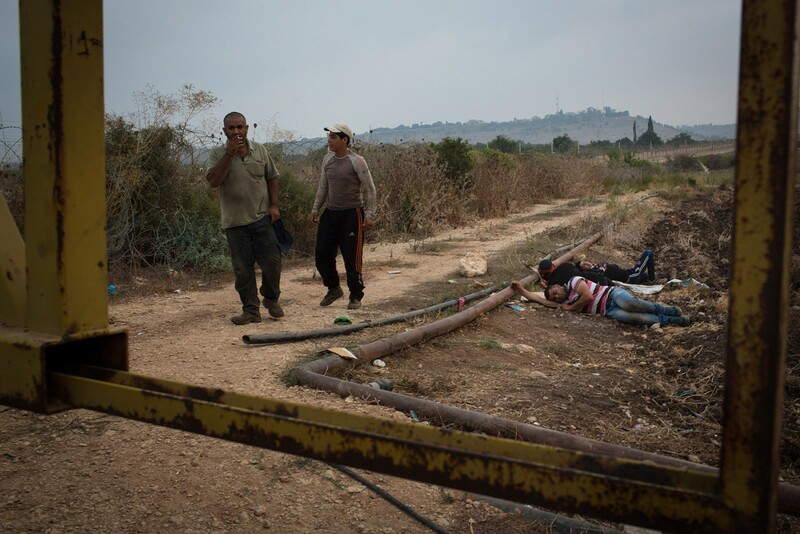 Falama, Palestine - 04/08/2015: The Palestinian farming workforce at 6am await the Israeli army opening of the separation barrier to allow them access to their farmland. 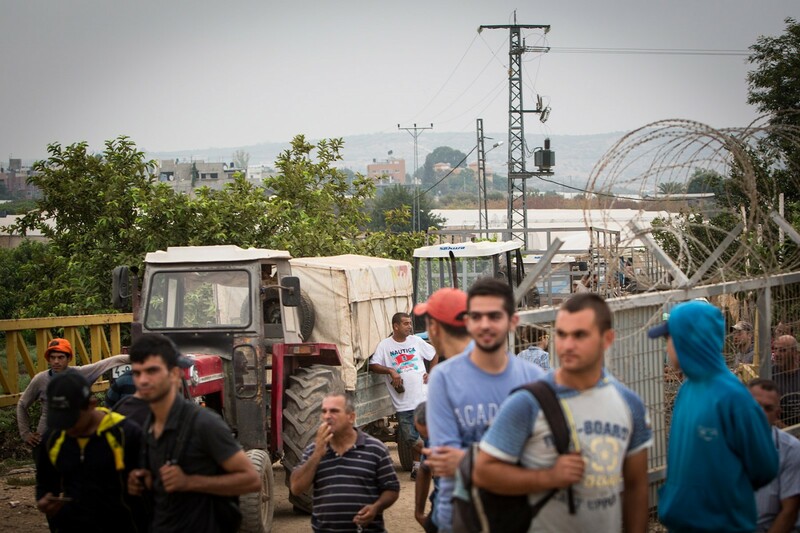 There are only three half hour openings per day and 300 farmers queueing for access, some denied entry on a dally basis. 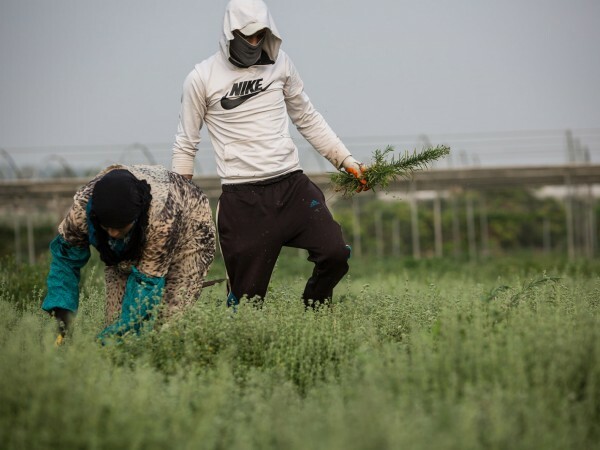 Falama, Palestine - 04/08/2015: The Daoud family taking care of their Zaatar fields, which are located on both sides of the Israeli separation barrier, which means they have limited access to their farmland. There are only three half hour openings per day and 300 farmers queueing for access, some denied entry on a dally basis. 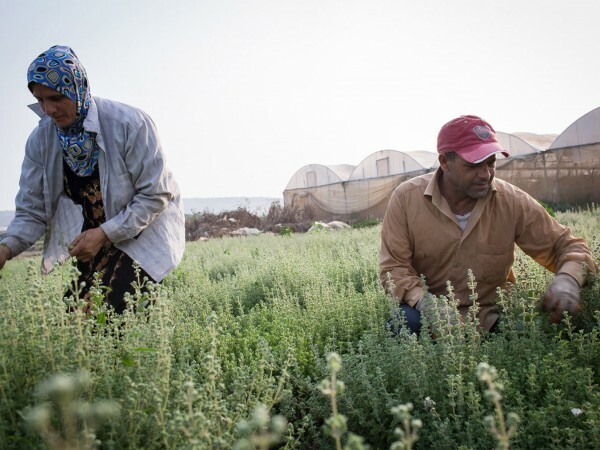 Falama, Palestine - 04/08/2015: Nabil and Ismaya Daoud taking care of their family's Zaatar fields, located on both sides of the Israeli separation barrier, which means the family have limited access to their farmland. 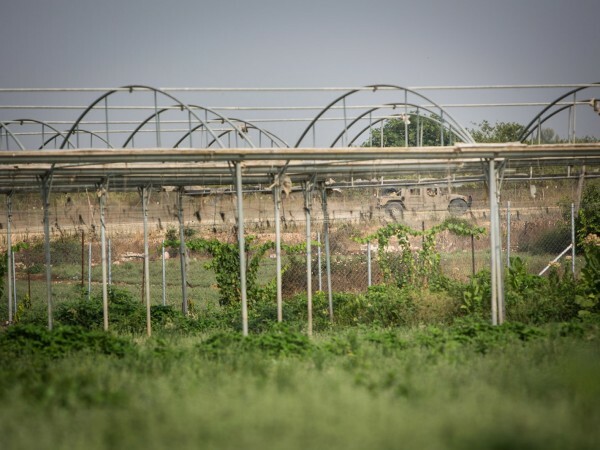 There are only three half hour openings per day and 300 farmers queueing for access, some denied entry on a dally basis. 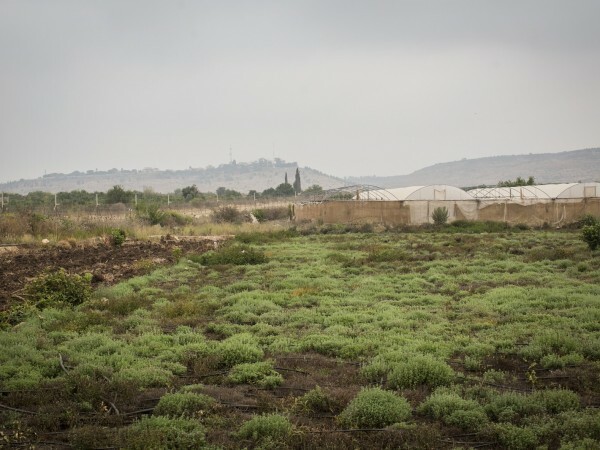 Falama, Palestine - 04/08/2015: An Israeli army vehicle patrolling the separation barrier next to the Daoud family's Zaatar fields. 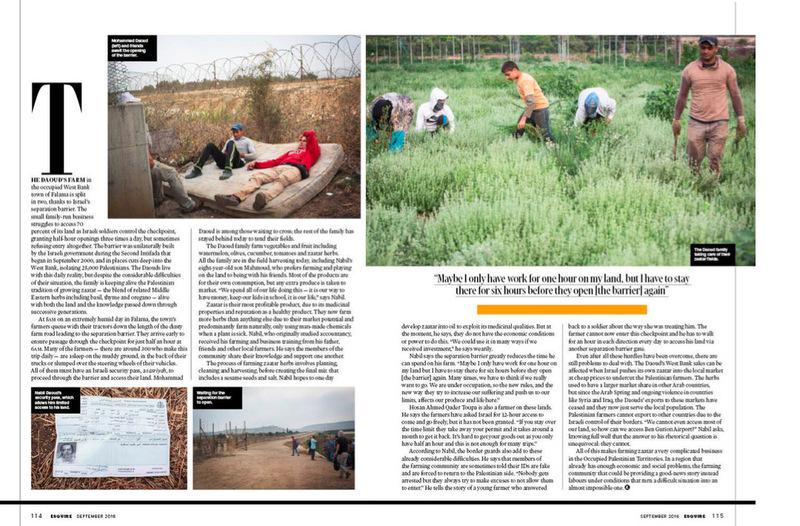 The family have land on both sides of the Israeli separation barrier which limits their access to their farmland. There are only three half hour openings per day and 300 farmers queueing for access, some denied entry on a dally basis. 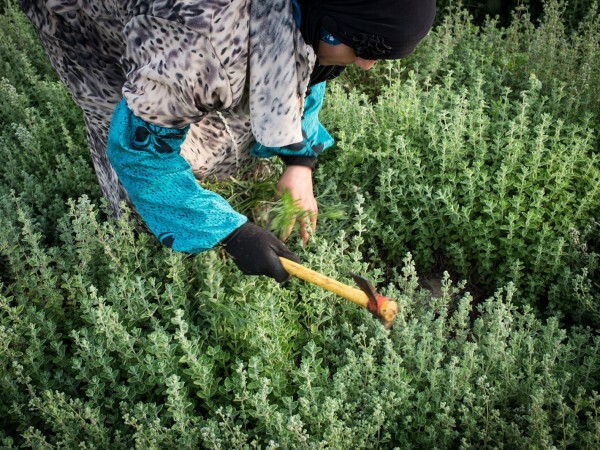 Falama, Palestine - 04/08/2015: Samiya Daoud taking care of their Zaatar fields, located on both sides of the Israeli separation barrier, which means the family have limited access to their farmland. There are only three half hour openings per day and 300 farmers queueing for access, some denied entry on a dally basis. 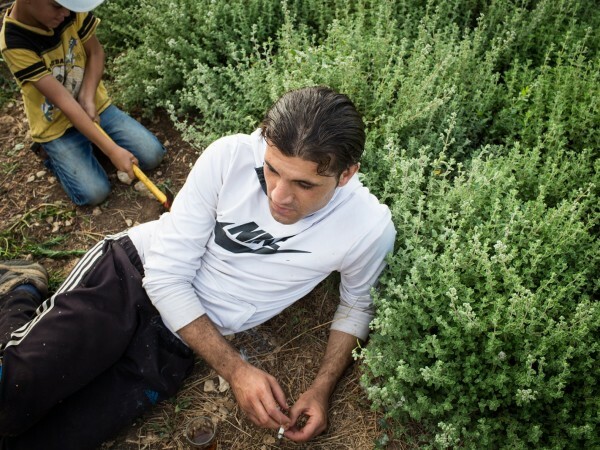 Falama, Palestine - 04/08/2015: Iyad Daoud takes a break from tending to the family's Zaatar fields, located on both sides of the Israeli separation barrier, which means they have limited access to their farmland. There are only three half hour openings per day and 300 farmers queueing for access, some denied entry on a dally basis. 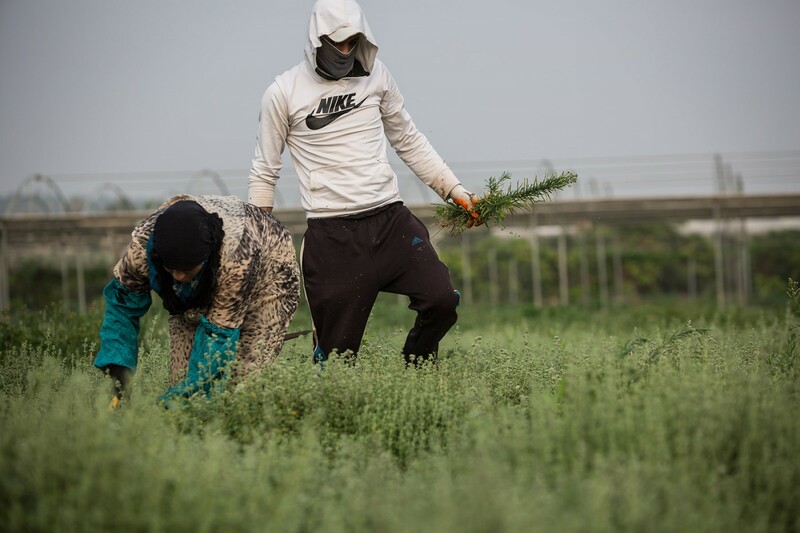 Falama, Palestine - 04/08/2015: Samily and Iyad Daoud taking care of their family's Zaatar fields, located on both sides of the Israeli separation barrier, which means they have limited access to their farmland. There are only three half hour openings per day and 300 farmers queueing for access, some denied entry on a dally basis.